Sharing part of the trail with the Kobuk 440 mushers this weekend were dozens of snowmachine racers competing in the 2019 Archie Ferguson/Willie Goodwin Sr. Memorial Snowmachine Race. No run-ins or collisions between snowmachines and mushers were reported from the coinciding races this weekend. 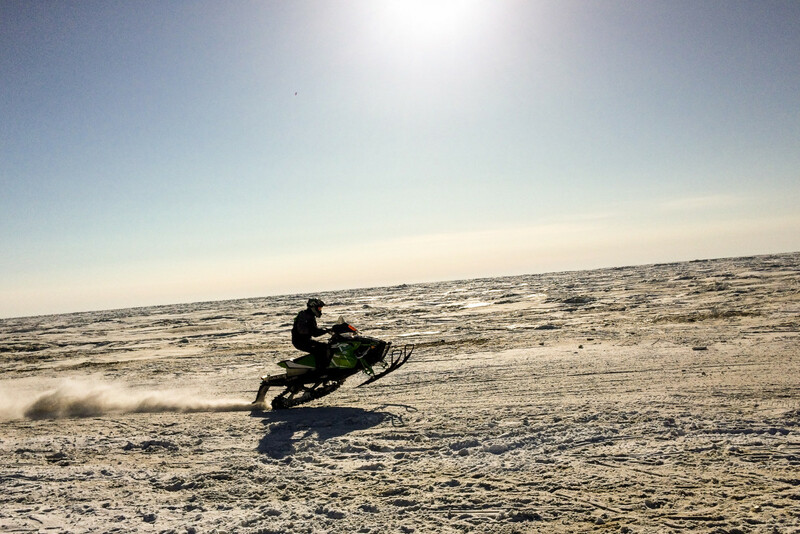 The fastest racer overall in this year’s Kotzebue snowmachine race was Tre West of Nome, with a time of two hours, 23 minutes, and 42 seconds. Second place went to Mike Morgan, who finished less than a minute behind West. Chris Collins rounded out the top three in the C-class with a time of two hours, 26 minutes, and eight seconds. There was a tie for first place in the 600cc class, in which Nick Olstad and Troy Conlon both took just over two hours and 31 minutes to finish the roughly two-hundred-mile course. This was Conlon’s first attempt at the Archie Ferguson race. According to official race results, third place in the same class went to John Bahnke III, but reportedly, an error was made in recording his time. So Chris Olds has unofficially claimed third place in the 600cc class and the more than $3,000 that go with it. Lastly, in the fan-cooled class, Michael Hensley II finished on top with a race time of three hours, one minute, and 16 seconds. As the overall winner of the 2019 snowmachine race in Kotzebue, West has received free entry into next year’s Iron Dog. When all was said and done, West took home about $8,500 in race winnings. Image at top: file photo: Racer in the 2016 Nome-Golovin Snowmachine Race. Photo: Mitch Borden, KNOM.